The Edison Tech Center has many resources for students and adults. See the menu to the right to look up various technologies. We have been building pages on many subjects since 2007. 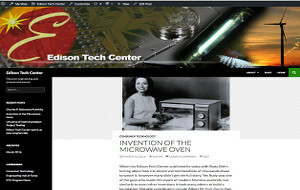 The Edison Tech Center has hundreds of videos on engineering technology and history. Many are available online while others we sell on DVD. See our videos page to learn more. So far we have produced three large multi-media programs which contain videos, reference material and original photos and diagrams. The Universe of Instrumentation is our newest program consisting of over 20 web pages and 10 videos on important instruments of engineering including everything from your handheld multimeter to the James Webb Space Telescope! 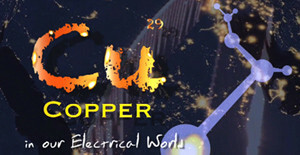 The Tour EL is a course we created as part of the Electric Light Project in 2012. Hundreds of thousands of young people have learned from the program and many engineers have participated. 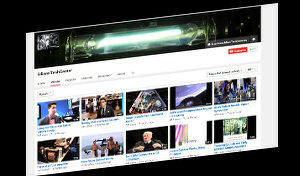 Our videos on the electric light are some of the web’s most popular. 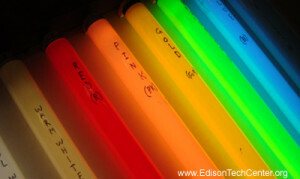 The Edison Tech Center and the Society for Mining Metallurgy and Exploration teamed up to bring you two episodes focusing on the most important materials of electrical engineering. Learn about everything from how it’s extracted to what it’s used for. We have so much cool information we are working on, and its hard to get it out there, so we have recently created a shorter form product which can allow us to let you know about projects, technology and people faster.